By Roger P. Gilson Jr.
President Barack Obama has announced the recess appointments of Craig Becker and Mark Pearce to the National Labor Relations Board. The March 27 announcement came one day after Congress adjourned for the Easter recess. While the appointments effectively preclude Becker and Pearce from serving normal five-year terms on the NLRB, they would serve for about a year-and-a-half, enough time to have a profound impact on labor relations in this country. Craig Becker is currently Associate General Counsel of the SEIU, as well as Associate General Counsel to the AFL-CIO. He also was the putative architect of Illinois state law changes that resulted in the mass unionization of home care workers in that state. Becker has argued the right of the NLRB to implement Employee Free Choice Act-like changes without an act of Congress. 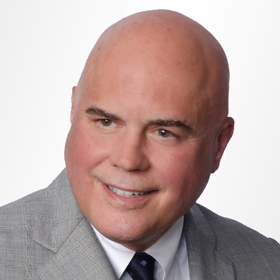 Mark Pearce represented unions in private practice after serving as an attorney for the NLRB. He is one of the founding partners of the Buffalo, New York, law firm of Creighton, Pearce, Johnsen & Giroux, where he practices union-side labor and employment law before state and federal courts and agencies. Filling the Board’s vacancies with recess appointments now would give the Board time to achieve significant labor law reform through rulemaking without the Employee Free Choice Act, which is unlikely to pass any time soon. Under current law, the NLRB, without Congress, may implement significant changes in the application of the law through administrative rulemaking. It did so when it issued rules on the appropriate bargaining unit for acute care hospitals, which significantly accelerated scheduling of union elections within that industry. Rulemaking could be used to streamline election procedures, expand voting “access” through electronic or absentee balloting and enhance special remedies and penalties for employer unfair labor practices in initial organizing and first contract situations. Along with traditional case-by-case decision-making and the development of internal agency policies, the Board could use rulemaking to realize some of the advantages unions sought, but have yet to achieve, through EFCA. The U.S. Supreme Court heard argument in New Process Steel v. NLRB, a case from the Seventh Circuit Court of Appeals on whether the two-member Board had a quorum when it issued hundreds of decisions over the past year-and-a-half. The District of Columbia Circuit Court of Appeals has ruled that the Board did not, though the majority of the other circuits have said otherwise. If the Supreme Court rules against the Board because it lacked at least three members, it will nullify all of those decisions. With the two recess appointments, bringing agency membership to four, a labor-oriented Board would have the chance to reconsider and rewrite those decisions, as well as pass upon cases that the two members have not yet addressed. “The Administration had promised EFCA would be considered right after health care reform. With the appointments of Becker and Pearce, the President was true to his word. 'EFCA-lite’ has just been enacted,” Michael Lotito, a Jackson Lewis partner, observed. ©2010 Jackson Lewis P.C. This material is provided for informational purposes only. It is not intended to constitute legal advice nor does it create a client-lawyer relationship between Jackson Lewis and any recipient. Recipients should consult with counsel before taking any actions based on the information contained within this material. This material may be considered attorney advertising in some jurisdictions. Prior results do not guarantee a similar outcome.